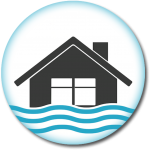 If you experienced flooding, including storm or sanitary backups, from rain events and have not reported it to the Olmsted Township Service Department, please submit your information to lfuerst@olmstedtownship.org. Items to include are: name, address, type of event, follow up, and contact information. Olmsted Township has three separate utilities that manage stormwater and sanitary sewers or both, North Olmsted waste water treatment, Cuyahoga County Public Works, private HOAs stormwater utilities and Northeast Ohio Regional Sewer District, outside of Columbia Park and those who have their own septic systems, we will ensure the proper utility receives notice of your complaint.